Researchers, scientists, scholars and people who have even half a brain have long since debunked the idea that there was a curse that killed people involved in excavating Tutankhamen’s tomb back in 1922. Heck, Howard Carter, the archeologist in charge of it all, lived until he was 64 years old and died of lymphoma in 1939! 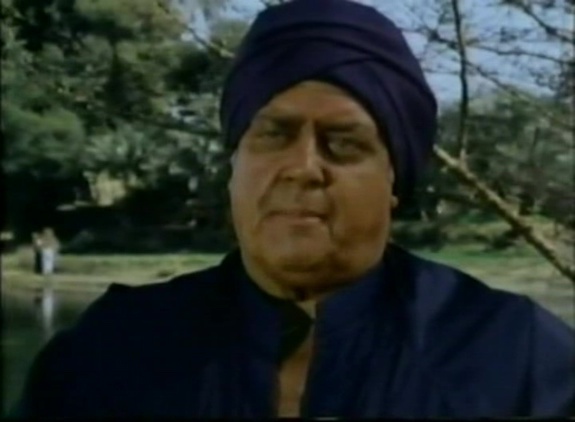 If Tut’s otherworldly powers couldn’t even touch the guy who personally punched a hole in his tomb, his mummy mojo is pretty weak. But pump the breaks on your skeptic chariot, Ben-Hur! Do you really think the infected mosquito bite that started the sickly financial backer Lord Carnarvon down the road to death was really just the result of poor shaving ability? Or that the blackout that occurred in Cairo when he died was really just because Cairo often suffered blackouts during that era? But where Tut really showed his ability to unambiguously reach out from the afterlife to punish those who disturbed his eternal sleep is that when Carnarvon died, his freaking dog dropped dead halfway across the world in London at the same time! Killing a man’s dog? Damn, that is some old time Pharaoh vengeance! But that wasn’t the most heinous act that Tut was depicted as committing in this TV movie! And no it wasn’t suffocating the obnoxious street urchin Fishbait who the movie version of Carter employed (surely in violation of various child labor laws and whatever code of ethics archeologists have) or the scorpion attack, snake bite, or airplane crash. Those are all quite routine as far a curse murders go and since they happen to people you don’t care about, leave little impact. 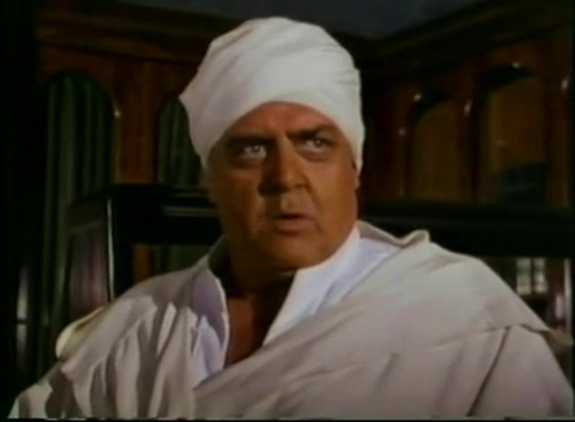 No, the zenith of Tut’s transcendental temper tantrum is what happens to Raymond Burr! Sure, Burr’s bad guy treasure hunter Jonash Sabastian ends up in an insane asylum because he cannot possess Tut’s deathmask, but that’s just a pointlessly made up villain getting the comeuppance these generic TV movies’ formula dictate. Where Tut really amped up the astral assault was in forcing a distractingly bloated up Burr into a succession of outrageous outfits that appeared to be made of double king size bedsheets, all while glowering beneath a healthy coating of bronzer! Who cares about Tut? Howard Carter should have exhibiting Burr instead! 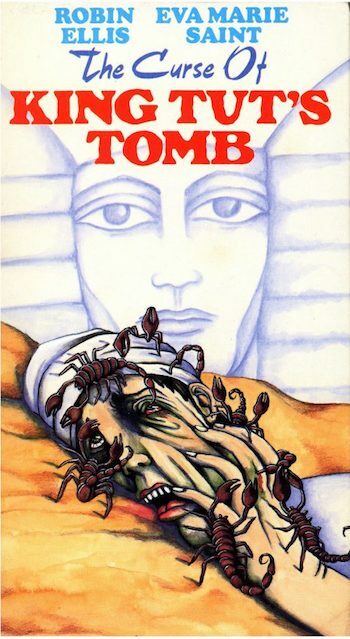 While The Curse of King Tut’s Tomb isn’t the only movie to revolve around a now discredited supernatural theory (Al Gore’s An Inconvenient Truth immediately comes to mind), even if you were inclined to buy into the idea, the movie’s script is a collection of situations and characters that never go anywhere, failing to even satisfactorily dramatize the supposed curse. People periodically drop dead and a reporter usually then babbles about a curse while Carter rolls his eyes. And nothing ever happens to Carter! Even the movie grudgingly acknowledges this at the end when the narrator lamely explains that while Carter didn’t die, he was doomed by his obsession with his work. And by doomed, you mean he retired and worked part time at museums in the United States. In an apparent effort to make the half-hearted curse stuff less half-hearted, the movie introduces an even more half-hearted subplot about Carter’s woman troubles! 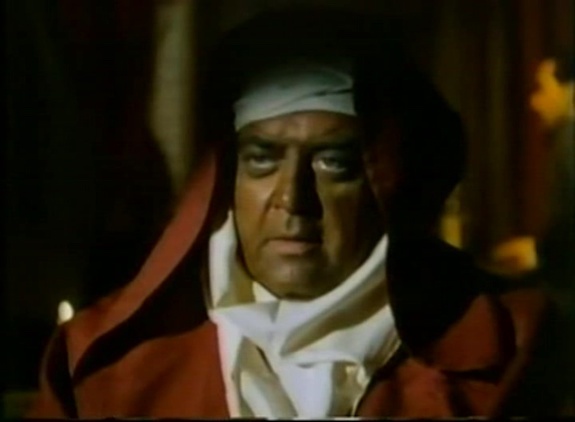 Carnarvon is depicted as having a daughter who is sweat on Carter, but Carter doesn’t seem to be able to express what he feels for her because of his focus on the tomb. Lord Carnavon is against any romance between them as he doesn’t believe that Carter could really ever care about a woman like he does his work, so he sends his daughter back to London. Carter though does find time later to kiss a reporter played by Eva Marie Saint. But she leaves, too and the audience is left to wonder just why any screen time was spent on this character who had nothing to do with anything.